The Southwestern United States are filled with these ancient structures tucked away in remote canyons, quietly awaiting the return of their long-vanished residents. Tiny hand prints still mark the clay that holds the stones in place. 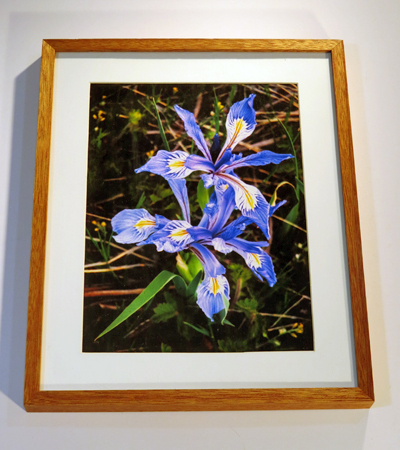 The photograph measures 12" by 16", the mahogany frame 17" by 21"
Also known as Western Blue Flag, Missouri Flag and simply, wild iris, Iris missouriensis is considered by range managers an invasive species. Livestock avoid grazing near the plant. It has poisonous roots but a lovely flower. 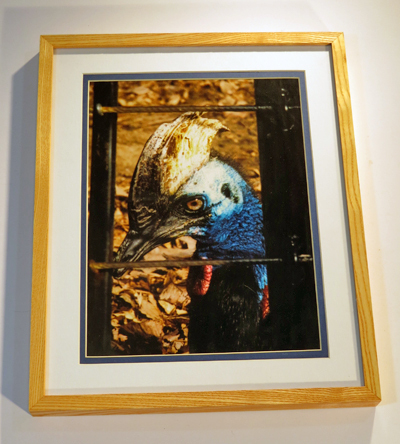 One of the most dangerous birds in the world, the Southern Cassowary is second only to the Ostrich in size and weight. It lives in the tropical rainforests of Indonesia, New Guinea and northeastern Australia, subsisting on fallen fruit, insects and small vertebrates. 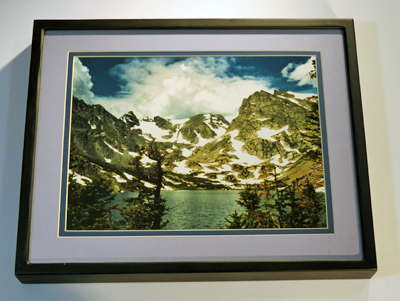 The photograph measures 12" by 16", the white ash frame 17" by 21"
Upper 4th of July Valley in the rain. This is the source of Middle Boulder Creek. 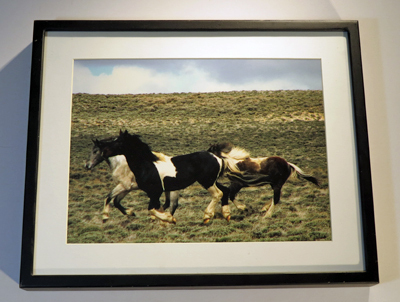 The photograph measures 12" by 16", the fir frame 17" by 21"
The Red Desert of south central Wyoming is home to one of the largest and most genetically diverse wild horse populations in North America. In the Spring, stallions such as this one aggressively race across the desert floor in search of mares to add to their herd. 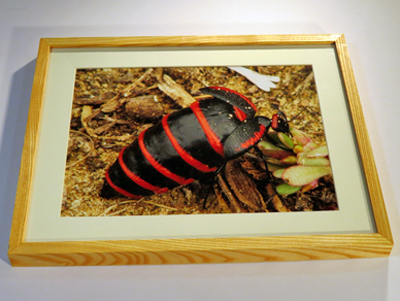 The photograph measures 12" by 16", the deep black frame 17" by 21"
This blister beetle is sacred to the Navajo. Its presence signals rain, and if you should accidently step on one, you will surely break a pot within a day or suffer the consequences. This specimen was photographed near Navajo Reservoir, northern New Mexico. 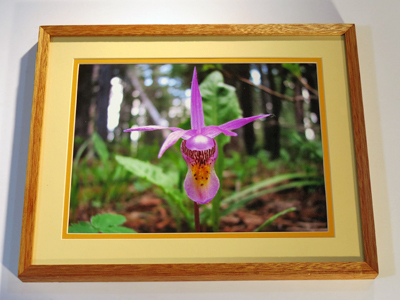 A truly gorgeous tiny flower of the subalpine forests, it is only in bloom for a week or two around mid-June. The late 19th and early 20th century witnessed some very unusual building techniques. 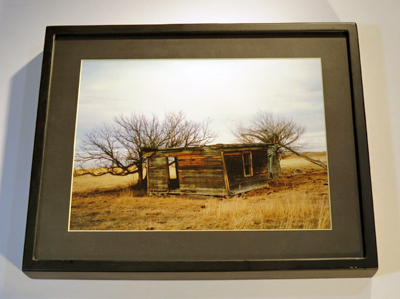 This cabin still stands near the last residence of Crazy Horse, to the east and south of Fort Robinson, Nebraska. 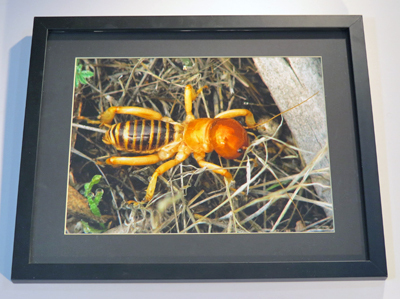 The Jerusalem Cricket is a large flightless insect with a painful bite. It is capable of regenerating legs. Navajo refer to this as the "skull insect" and Franciscan priests, translating the language, may have come to associate this term with the hill of the skull (Cavalry) where Jesus was crucified outside of Jerusalem. This insect can grow to a length of up to 2" under favorable conditions. 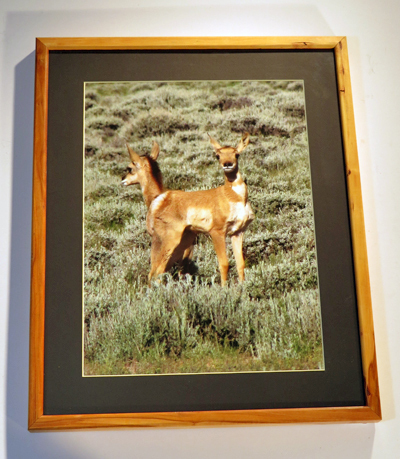 The photograph measures 12" by 16", the black frame 17" by 21"
Completely unrelated to the old world antelope, this is the only surviving member of the family Antilocapridae. During the Pleistocene, there were 12 species roaming the vast wilderness of North America. When man first arrived on the continent, only 5 remained extant. Today there is only this single remarkably successful and resilient species. Here is an example of a defensive strategy, combined with 50 mile per hour running speed, that has allowed this creature to thrive. 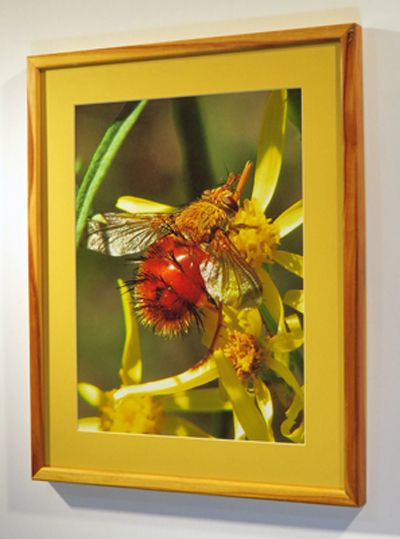 The photograph measures 12" by 16", the apple wood frame 17" by 21"
The family Tachinidae is the second-largest amongst all the diverse families of Diptera (two-winged true flies). This one is a parasitic species characterized by coarse bristling hair and brilliant red or yellow color. 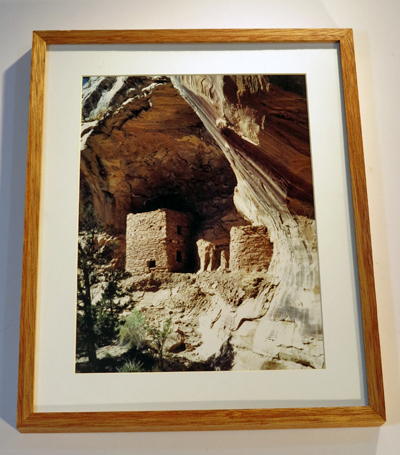 Western Colorado and Eastern Utah were once occupied by a people who varied their life style with the climate. During wet periods they would build and settle into permanent structures and become farmers. During dry climatic periods they would simply up root and revert to their earlier nomadic hunter-gatherer lifestyle. They were at all times fierce warriors and notorious head hunters. 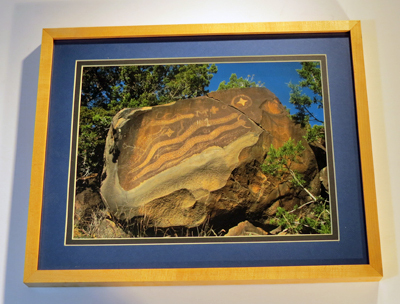 They have left their mark on many overhung surfaces throughout their territory. 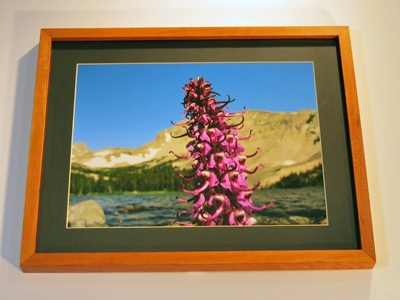 This lovely flowering plant, a member of the figwort family, was growing abundantly in the marshy shoreline at the foot of Lake Isabelle in the Indian Peaks Wilderness west of Boulder one fine summer day. 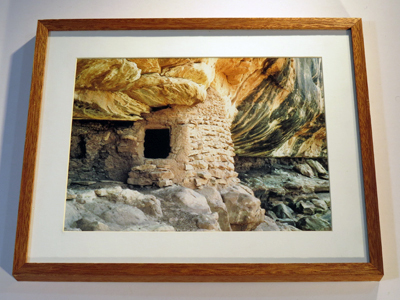 The photograph measures 12" by 16", the cherry frame 17" by 21"
As the people of the Southwest emerged from the Archaic, there began a tradition of building square towers and round kivas in caves and overhangs that would lead them to achieve the architectural masterpieces of Chaco Canyon and Mesa Verde just a few centuries later. This is one of those precursors to greatness. 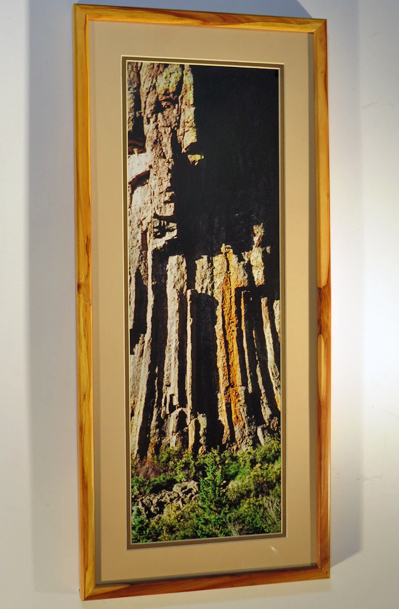 This lone guardian, composed of columnar basalt, stands watch above Carnero Creek west of the La Garita community in the San Louis Valley of Southern Colorado. The eruption that created the La Garita Caldera is among the largest known explosive eruptions in earth's history, ejecting enough material to fill Lake Michigan. This occurred about 28 million years ago, leaving exposed remnants such as this as mute testament to slow cooling. 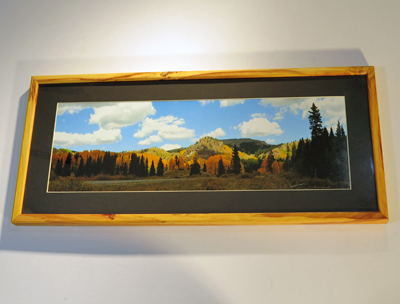 The photograph measures 12" by 36", the apple wood frame 17" by 41"
Between Antonito and Chama lies this gentle, spectacular pass. The narrow gage railroad in early October makes for a memorable journey. Western Colorado and Eastern Utah were once occupied by a people known as the Fremont. They were fierce warriors and notorious head hunters. Three of these figures are holding human heads as proud trophies. Originally, these panels would have been richly decorated with colored pigments. 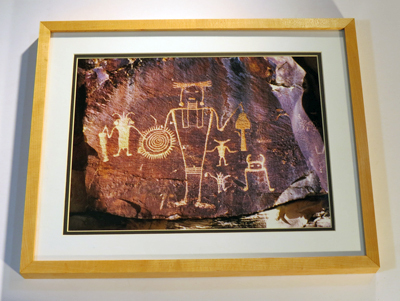 From the time of first contact with Europeans to the present, rock art continues to play a vital role in the cultures of the Southwest. 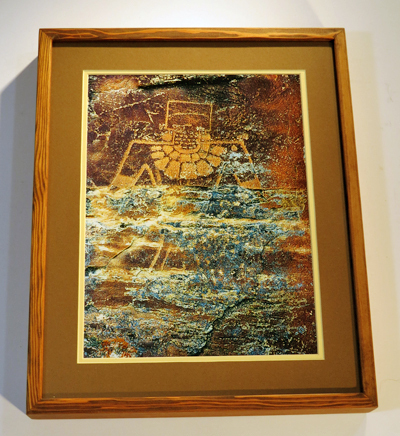 Spiritual power is concentrated in the images but emerges from the rock itself. 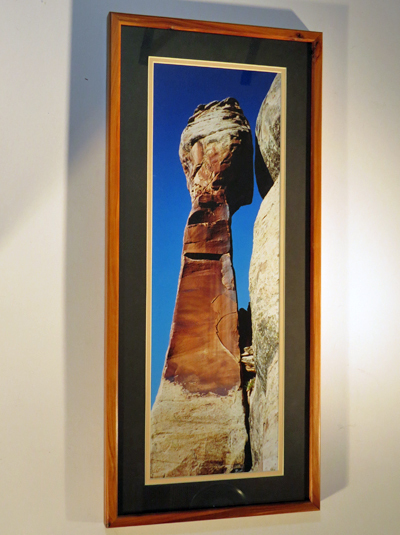 The photograph measures 12" by 16", the maple frame 17" by 21"
Among the greatest deserts of the world, formations such as this towering rock are almost commonplace in many parts of the Colorado Plateau. 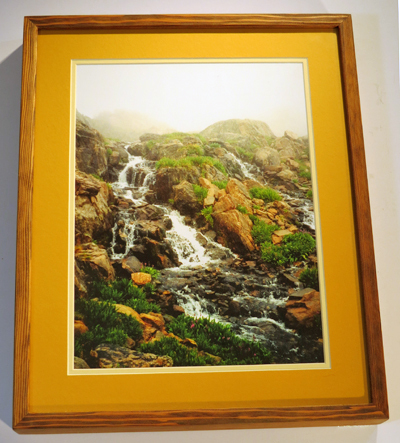 The photograph measures 12" by 36", the cherry frame 17" by 41"